With land prices in Sydney it is more important than ever to maximize the value of the home that stands on it. We always recommend hiring professional contractors, for their expertise not only in the quality of work, but in the advice of colour choices. If you do insist on DIY, then here are some things to keep in mind. We are professional house painters based in Sydney who can assist with your painting needs and answer your paint questions. Colour has a profound effect on the look of a room. The right shade can set the perfect mood in a space, can make a small room feel larger in size or give a cavernous, large space a more intimate, cozy ambiance. But how do you know which shade to use to get the effect that you desire? Read on to find out! You can really open a small room by using lighter colours on the walls. That doesn’t mean that you have to choose white to make your living room, bedroom, hallway, kitchen or dining room feel more spacious. Just choose the lighter end of the saturation spectrum for whatever colour you desire. Think beige instead of chocolate brown, baby blue instead of royal or a light sage instead of forest green. Some parts of Sydney have enormous rooms, both in older houses and newer. It can be a challenge to paint these well. Large rooms can be wonderful due to the space that they provide, but sometimes, a room that’s too large can feel impersonal. 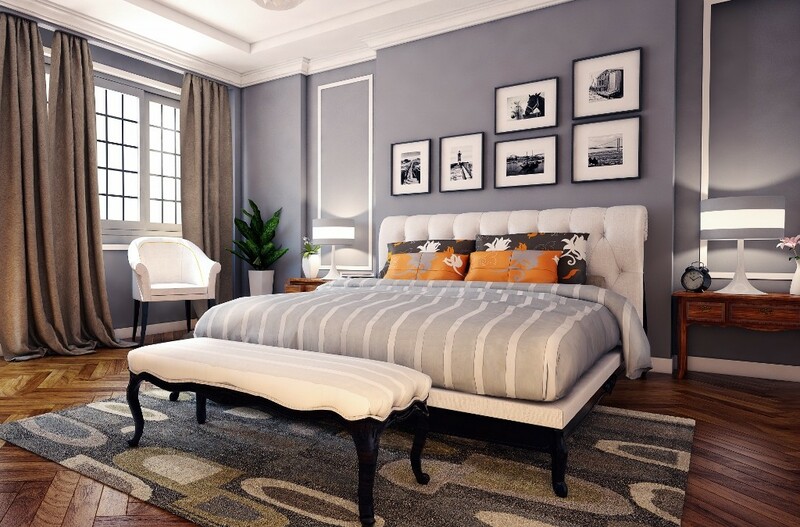 To make a bedroom feel cosier or a living room more intimate, choose darker or brighter colours that will close the room in more and create the effect that you desire. Many older Sydney homes have lower ceilings than we build now. There are two ways that you can make a ceiling look higher. First, you can simply paint it white for a lifting effect. Alternatively, you can paint the ceiling and the first few centimeters of the upper portion of the walls the same colour. Want people’s eyes to be drawn to the view through a certain window or plan to make a certain piece of furniture near a wall the star of your floor plan? Painting the wall a different colour than the rest of the room will instantly guide the eye to your desired spot. Matching with the new Sydney vibe is priceless if you are looking to sell. Even to feel like you are maximising the home you live in right now! Envisioning a dining room that will spur conversation at dinner parties or a family room that is the perfect place for an upbeat party? Warmer colours have an energising, uplifting effect on decor. Hues in the red, orange, yellow and brown families will boost your spirits and give your room the ambiance you’re going for. Your Sydney home is your haven from the hectic pace of work life. You can paint it in a way that enhances home time. If you want your bedroom to feel serene and calm, your bathroom to look like an oasis or a sitting room to be perfect for reading and quiet contemplation, opt for colours that are cool toned. Colors in the blue, purple, gray and green families are perfect for adding that serene, peaceful vibe. Choosing the best paint colour is the first step to getting the look you desire in any room in your home. The second step is to find the best interior painter to handle the job! A professional will ensure that the finished look of your space is picture perfect. Plus, painting contractors can provide you with advice about which colours will look best. Colour Elegance is ready to assist with all of your interior painting needs. Contact us today for a free quote on your project!